Jean and I worked in the same school district as elementary teachers in my first career. 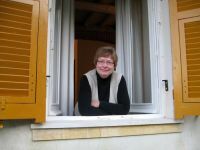 She had a wonderful career in education and recently retired. 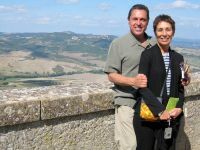 Jean wanted to take a trip of a lifetime to Italy with her husband. 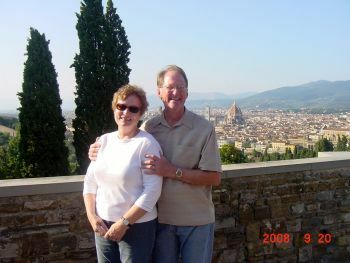 Don had been to Italy 10 years earlier and wanted to share his memories with Jean and create new ones together. They chose to travel in the fall, a beautiful time to be in Italy and spent time in Florence, Cinque Terre, Tuscany and Rome. 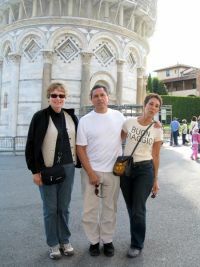 A highlight was having long time friends join them in Tuscany. 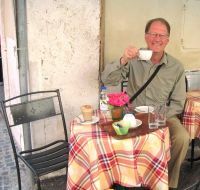 "When Dan and I heard that our dear friends from Minnesota were planning a trip to Italy, we thought it would be wonderful to be able to spend a little time with them there (we live in Arizona). 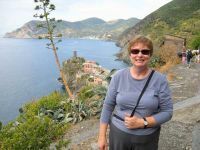 Since Ginger planned their entire trip through Italy, we asked Ginger to help us plan and coordinate our trip as well. Easy as pie! Ginger helped with transportation, booked us into the same Tuscan inn as our friends, and offered wonderful sightseeing and dining ideas. The trip was stress-free and we had a ball. 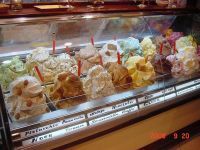 We highly recommend Ginger's services to anyone planning a trip to Italy." Jean poses with Leo from the famous Harry's Bar in Florence. 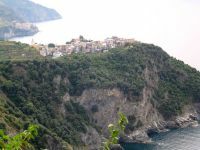 Next stop along the beautiful Cinque Terre. Hiking the Cinque Terre with Corniglia in the background. Jean from the window of their B&B in Monterosso. 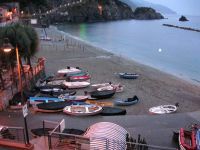 The town of Monterosso early evening. 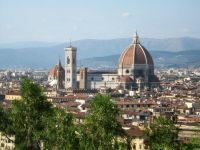 Jean & Don hook up with friends Dan & Deedee in Pisa and drive to their Tuscan apartments for 3 nights. 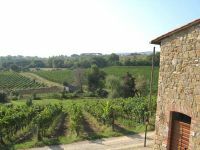 The 2 couples stayed at a lovely working olive oil and wine farmhouse near Chianciano Terme in the province of Siena. 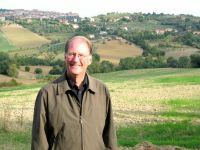 They drove to towns such as Pienza and Siena and enjoyed the Tuscan countryside. A great time to catch up with good friends and experience the Italian countryside. 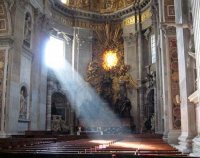 Jean and Don continue to their final city of Rome. 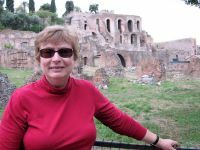 Jean and Don explore the ruins of Ancient Rome. Morning cafe in Rome with delicious Cappucino. 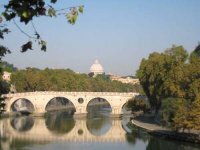 The Borghese Park at Sunset.